An amazing trip for all of us. 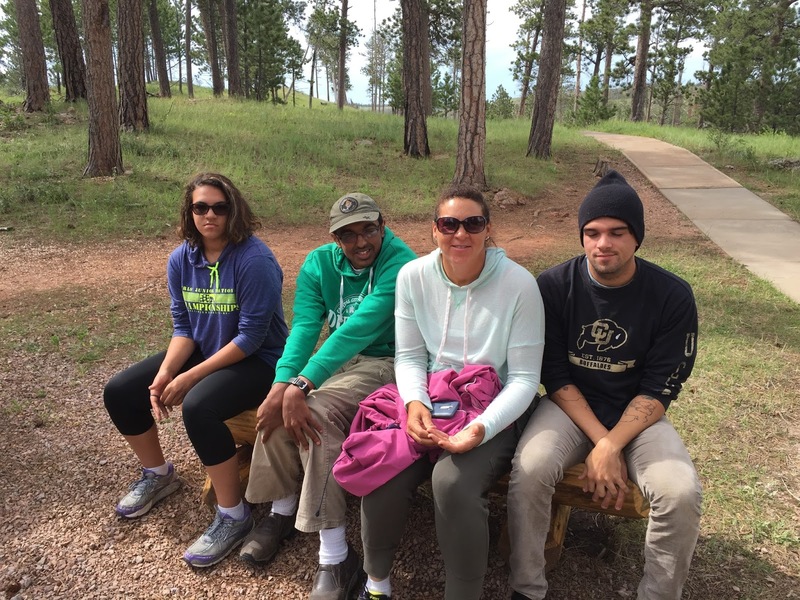 Despite some issues getting going, all five of us had a great family trip from Tue-Sat in the Black Hills. Lots of driving for Tia as she drove there late tues and got us home last night around 11 in the new trailer. Camping was a success and we had fun. Most posts coming with the various things we did, but here's a good one of us all in the Jewel National Monument forest.